10 years of (roughneck) riots! Since the decision was made to no longer produce original content for [WAM] at the end of January, we have spoke to many people who have give us thanks for our contribution to the local music scene. We have also spoke to many people who understand decision made, even if it was with a heavy heart. 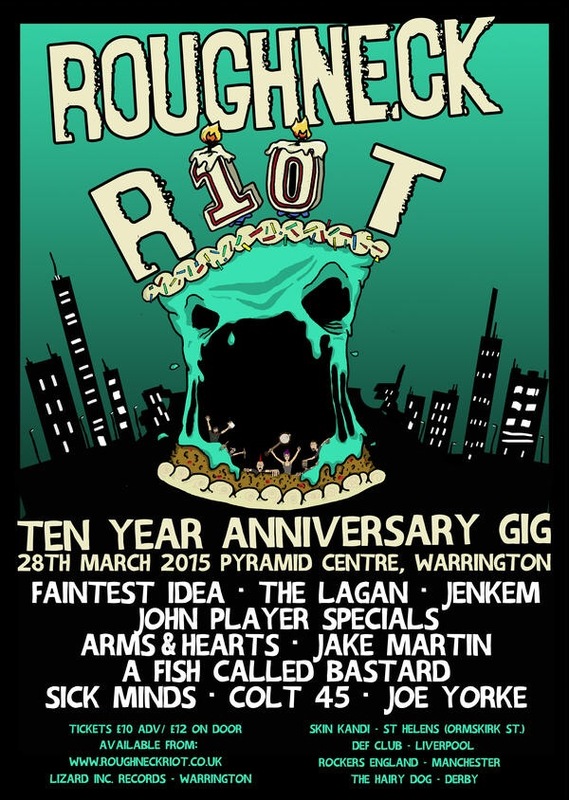 One of the bands who always offered their support during our tenure was The Roughneck Riot, that is why, next Saturday (28th March), we are delighted to be filming the event from The Pyramid Centre. These video will be put up on our YouTube page a few weeks afterwards. But with tickets still available in advance and on the door, be sure you do not miss out on one of the towns best events in 2015! Next Post No #WMF2015? No problem!